This book is a collaborative project by students for "Ethnic Los Angeles," an Asian American Studies course that convened at UCLA in Spring 2014. The work herein is completed entirely by students (with minor editorial changes made by the professor). 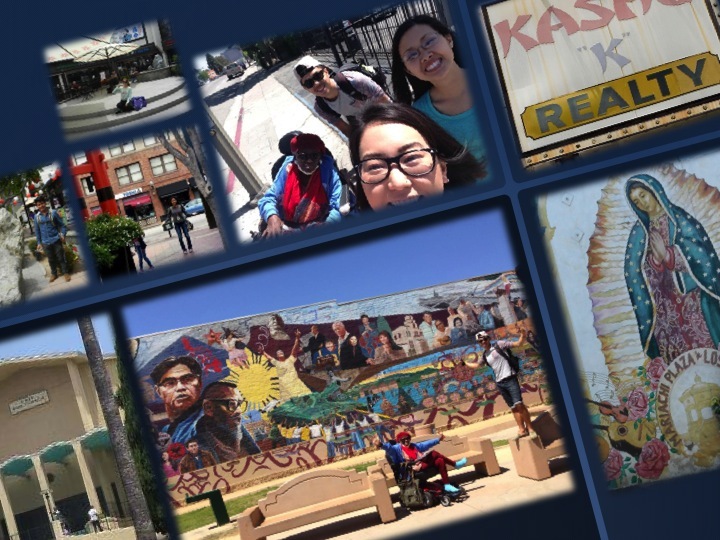 Throughout the course, students were asked to examine the city of Los Angeles as a site of racial and ethnic spatialization and cultural production, from the famous mapped spaces of Little Tokyo or Chinatown and through moments of historical trauma like the Chinatown Massacre or the LA Uprising. We examined Los Angeles as construct and as lived space through the study of archives, history, narratives, visual culture, and space. Integral to this endeavor was the analysis of the historical importance of the city’s racialized populations and the ways in which they have carved out spaces for enterprise, community, and cultural production within the urban landscape. Texts included literature, visual media, and films, while scholarship was drawn from urban studies, sociology, cultural and media studies. Students were engaged in multi-modal scholarship that required active classroom participation, online interaction, and real-world navigation of the city’s space. Ultimately students chose one specific community and site to produce an in-depth research project, including personal observation from site visits. The result of that work is presented here in this digital book. Version 23 id 329669 of this page, updated 26 March 2015 by Anne Cong-Huyen. Created by Anne Cong-Huyen. "Ethnic" Los Angeles by Joyce Park and Thania Lucero and Constance Cheeks and Charlie Kim and Anne Cong-Huyen and Sophia Cole and Julio Damian Rodriguez and Andrea Mora and Samantha Tran and Katie Nak and Jazz Kiang. Help reading this article.